There is evidence of education in the village as far back as 1656, when the baptism was recorded on 2nd December 1656 of the infant son of one Walter Salvin, schoolmaster This gentleman would have passed no examinations to achieve this qualification and it is most likely that he was an assistant to the vicar, licensed by the Bishop to assist in Church services, who supplemented his meagre stipend by teaching. The school would be held in the seating area on either side of the church porch, available to those children whose parents were willing, and able to pay. In the 17th and 18th centuries, children of the wealthy were educated at home by private tutors or governesses or would be sent as boarders to the public schools springing up around the country. Schooling was not compulsory, and neither schools nor teachers were regulated. Mrs Margaret Bewicke built the first school in the parish, at Houghton in 1814, primarily for the children of Close House estate, to be educated at her expense. It remained the only school in the area until the first "voluntary" school was established in Heddon in 1852, by the Church of England. The building of Church Schools had to be met by public subscription and the first page of the records of Heddon School shows that the principal benefactors were Sir Matthew Ridley, George Burdon, Nathaniel and John Clayton, Greenwich Hospital Estates and other 'chief landed proprietors' of the parish. Land opposite the Swan Inn, was donated and conveyed to the vicar and churchwardens for the sum of £2.00. The buildings were erected at a cost of £732-4s-7d, including the master's house. The money was raised by subscription from landed gentry, such as Sir Matthew White Ridley, George Burdon, Nathaniel and John Clayton and others, and a grant of £200. The shortfall from this sum, of £3, was donated by the vicar, Rev. H. Maxwell, it being his fee for the marriage of Miss Stephenson of Throckley House. The day to day running of the school was the responsibility of the vicar, aided by a management committee. Initially the school had two classrooms, with a third added at a much later date. The first school master was a Mr.Scott, who's annual salary was £55 including use of the School House. The school mistress was a Miss Wilkinson whose salary was £8.00 per year. There were five headmasters in the next two years. 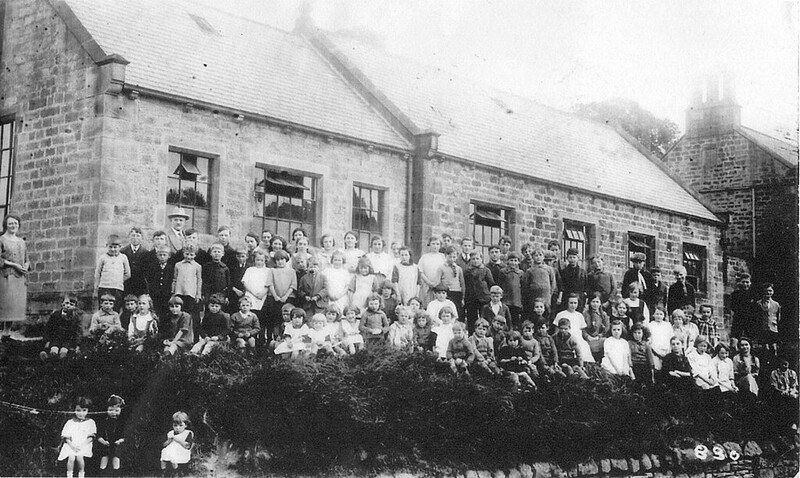 Attendance rose to over 100, and by 1888 was averaging 133 children. When free elementary education was introduced in 1891, the average attendance increased to 152. Only two classrooms were built in 1852, the third was added much later, and the school must have been very crowded. At Heddon-on-the-Wall, the parish of the Rev. M. H. Maxwell, a very good school has come into operation during the year. The buildings, playground, and offices are well arranged and well furnished. The master, Mr. Scott, was trained at Durham, and obtained a certificate of the 2nd class. The school is entirely of his creation, and does him great credit. (Inspection Report 1853). In 1902, the government took over the financial responsibility of the running expenses of the school, apart from maintenance costs. 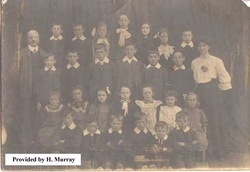 Heddon School class photo (1908). Schoolmaster is Mr Fornier. Photo courtesy H. Murray. 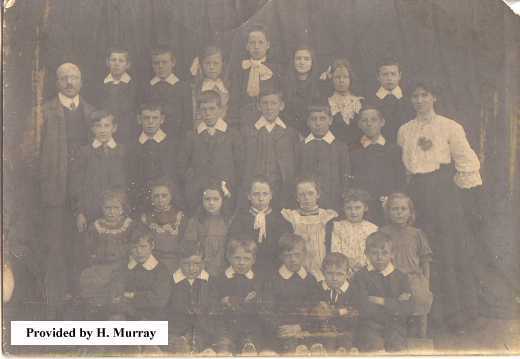 Heddon School class photo (1928). Photo courtesy Mrs I. Snowdon. g discipline was administered, the use of a "taws" or leather strap being handed out, for what would seem slight misdemeanors today. Being late for school was one transgression frequently punished in this way, no matter how great a distance the child had to walk from home, often a mile or more. A former pupil, Mrs Betty Cockburn, recounted how in the 1920's, being poor, she had few clothes and wore the same thin dresses summer and winter. One day after arriving at school she was dragged out in front of the class by the schoolmaster, to show everyone her dirty arms. They were not dirty, merely blue with cold. On another occassion he was looking over her shoulder when some of his snuff fell on her book. She quickly wiped it away, but her hit her on her shoulder, twice, with a strap, for making a mess on her book. The marks were still on her shoulder when she got home, so her father went to see the schoolmaster. She never knew what passed between them, but he never touched her again. The education given at the Church School was an elementary one and children left school initially at twelve years, later changed to fourteen. During the incumbancy of Rev. William Pringle, 1905-32, private schooling was given at the vicarage for those children that wished to receive a higher education. In 1952 the Church handed over financial responsibility for the school, which therefore ceased to be "aided" and became "controlled". 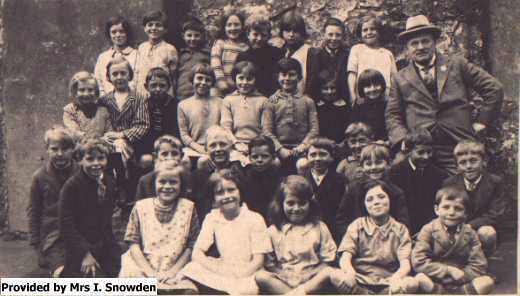 In 1959 the older children were transferred to the new school at Walbottle and only infants and juniors were educated in the village. 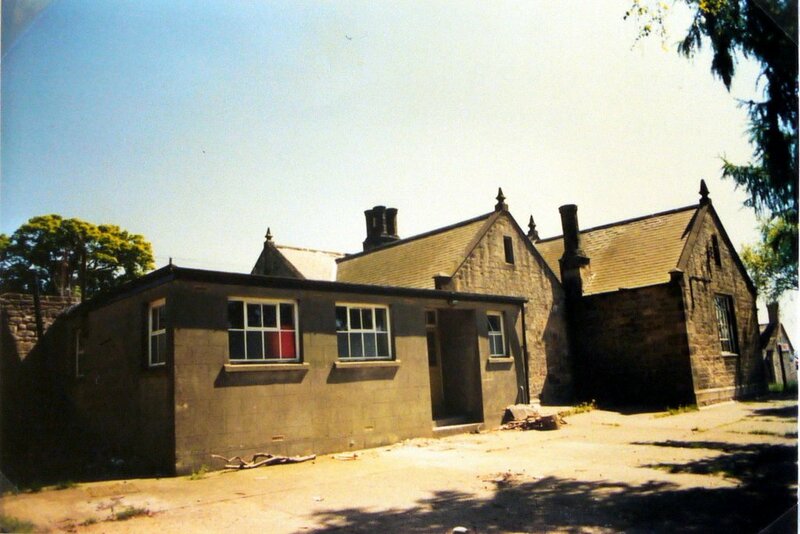 When the current school was built, in 1963, the old school was used as a meeting place for the village Scout group before being sold and converted into a private home. In 1980, the Education Act provided for the establishment of school governors, including parent-governors and teacher-governors. 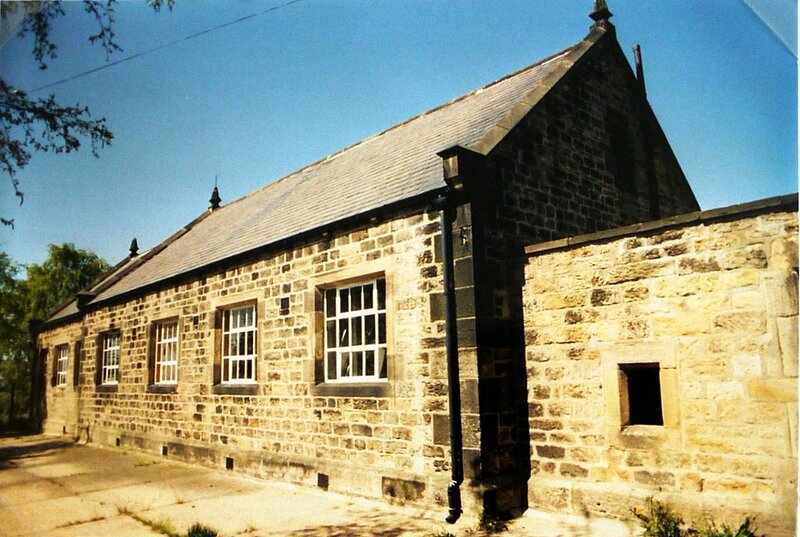 Although the government model only required two foundation governors (appointed by the Newcastle Diocesan Education Board), the managers of Heddon First School appealed successfully to retain three, the third being the Heddon Vicar. The governing body of Heddon C.E. First School therefore consists of 10: the three foundation governors, 2 appointed by Northumberland Local Education Authority, 2 appointed by Heddon Parish Council, 2 parent governors (appointed by parents), and 1 teacher governor (appointed by the teaching staff). The old school and school house are both still standing, situated opposite the Swan Inn, and now private houses. Old School - converted to a private house in 1994. Photo by Philip Sanderson. The current school building was started in 1962 and completed in 1963; the building work being held up by the severe winter weather. The builders were Messrs. Brims & Co. The school opened on 9th September 1963. The school still thrives and now includes a nursery class. At nine years old the children transfer to Coates Endowed School, and are bused to Ponteland.